Eat Carbs and Lose Fat? You should have seen how fast I put away a big pile of beef nachos last night. Mexican food and football, I believe, complement each other very well. But the truth is that if I don’t cheat like this every once in awhile, I drive myself crazy. If you’ve ever dieted before, then there’s no doubt you’ve probably dealt with the pain and frustration that comes with trying to cut carbs and calories at the same exact time. Because I’m just like you. Remember – I know what it’s like to struggle with food. That’s how ballooned to 300 pounds. Living in a huge calorie deficit and feeling hungry all the time. Constantly feeling run down and carb depleted with zero energy. Depriving yourself of your favorite carbs and all the foods you love to eat. Missing out on all the fun stuff like social events, parties, and family gatherings. Feeling restricted and inconvenienced with limiting food choices day after day after day. A sluggish and slowing metabolism. Suppressed fat burning hormones that block your body from burning fat. Loss of strength and even precious calorie burning lean muscle tissue. Unhealthy obsessions over food and constantly worrying about what you’re putting in your body. Perhaps you’ve heard that in order to avoid all these painful consequences and lose belly fat you should just avoid carbs altogether and eat more like a caveman. Wrong. Or maybe you’ve heard that you need to cut calories later in the evening and stop eating carbs late at night before bed. Wrong – AGAIN. In fact, these are the EXACT opposite steps you should be taking in order to “reboot” your metabolism and keep your hormones “healthy”, happy, and burning belly fat. And if you’ve ever tried to “diet” by cutting carbs and calories, research now shows there’s over a 90% change that your metabolism has been radically altered and damaged. That’s because my good friend Shaun Hadsall just released his brand new 4 Cycle Solution. I talked to him about it in Denver this past weekend. An eight week Step-by-Step carb cycling system that uses a brand new nutrition method called Macro-Patterning(TM), which shows you exactly how to overcome all this dieting nonsense and heal ANY damage you may have done from previous crash dieting. In fact, when you use Macro-Patterning(TM) it’s easy to eat LOADS of carbs and NEVER store them as fat. I capitalized those words because it means a lot to me. Yes, beef nachos mean a lot to me. And in addition to the fact that Shaun is already discounting this new system at HALF off, he’s also throwing in Fast Start Video Lessons for anybody who orders today. PLUS, I want you to succeed once and for all, so I’m also giving you a client and reader favorite metabolic resistance training program, “Metabolic Countdown”, with every workout ending with a countdown metabolic finisher. So through today (and today only) you’ll get the ENTIRE course, which includes a Quick Start Session AND all four proven Macro-Patterning(TM) Cycles on video. his has a real value of $300 and right now it’s yours 100% *FREE*. PLUS, You’ll get my Metabolic Countdown MRT program. 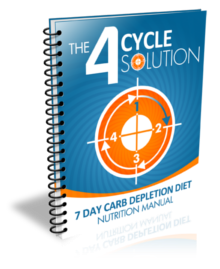 Cycle 1 – The 7 Day Carb Depletion Diet: “Shut off” your body’s dependence on sugars and make belly fat your “go to” energy source to visually SEE your belly get flatter in just 7 short days. Cycle 2 – The Macro-Patterning(TM) Cycle: Use LOTS of carbs to accelerate fat-loss and maintain a fat burning environment round the clock 24/7. No more plateaus. No more metabolic slowdown. No more suffering from traditional low carb trendy diets. Cycle 3 – The Accelerated Fat-Loss Cycle: Because your body is super smart it can adapt very quickly. This is the first fat-loss cycle ever designed to overcome EVERY type of plateau of sticking point the body uses to stop you from losing weight so you STAY on the fat-loss fast track. Cycle 4 – The “Diet Break”: By this point you’ll have overcame every type of adaptive response related to burning stubborn body fat. Now it’s time to put your fat-loss on cruise control by enjoying happy hour every Friday and even using all your favorite Cheat Foods through the weekend – WITHOUT suffering any rebound weight gain. 1. Shaun’s new 4 Cycle Fat-Loss Carb Cycling System is on sale this week only at HALF price to celebrate the “official” release. This program has already received a TON of national attention, so it’s proven to work like gangbusters. 2. If you pick up Shaun’s new program TODAY, you’ll also get the entire system (ALL 4 proven cycles) on video 100% FREE. This is literally like your very own “mini” PhD on how to eat MORE carbs and NEVER get fat. 3. 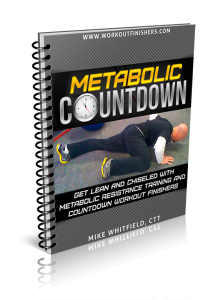 Plus, you’ll get my Metabolic Countdown MRT program FREE, with every workout ending with a bang of a countdown finisher. Now truth be told, almost everybody who tries to start ANY type of rapid fat-loss plan messes up their hormones, damages their metabolism, and literally forces their body to gain the weight right back. But when you use this particular carb cycling approach based on the unique (and proprietary) Macro-Patterning(TM) nutrition method — you’ll see how simple it can be to finally get and keep a flat belly. And don’t forget about the $300 Fast Action Video Lessons Bonus for anyone who grabs 4 Cycle Solution today. P.S. To get the Metabolic Countdown 4-week MRT program, just get Shaun’s program at the link above and forward your receipt to cranktraininghelp@gmail.com and we’ll send it to you.